Thousands of men and women stood in FAITH to obey a prophetic call at the Prophetic Rendezvous. If you came in with poverty you shall not leave with poverty! If you came in with sickness you shall not leave with sickness! A new door has been opened before you. TRANSITION is coming your way. If Christ is my vessel, I can smile at the storms. Life is full of challenges and setbacks. We can’t do it on our own. Thankfully, we have a heavenly Father who wants to help us and never wants us to walk alone. He’s reaching out to you. So grab on and don’t let go. He certainly won’t. I am a vessel of God and desire to be more useful to Him. I am prepared for every good work and fit for the fight of faith. Dear Lord, You are the One who never changes, and You are so good to us. Calm our hearts today with the grace and peace that come only from You. Help me to use my time wisely, to set my priorities well, focus on the things that matters, and forget about the things that don’t. Amen! GLory to the Most High God, my son ask me to let’s pray when I went to visit him, God is inside of him now I knew Eric would come back to God.I didn’t tell him about A wise Prophet name Pastor Alph Lukau thank God I found you be blessed. Amen Crystal, I am happy for you. God is indeed good and may He continue to anoint the man of God to intercede for us. Please pray for me too Crystal. God bless you. 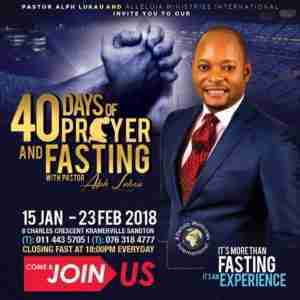 Jesus Christ and our Father is our healer, No weapon formed against us shall prosper, no sickness Jesus Christ will never leave us decree and declare it. I am a living witness Jesus has healed me so many times I would be dead if it had not been for Jesus who was on my side Praise him for what he can and will do. All praise to the Most High God. 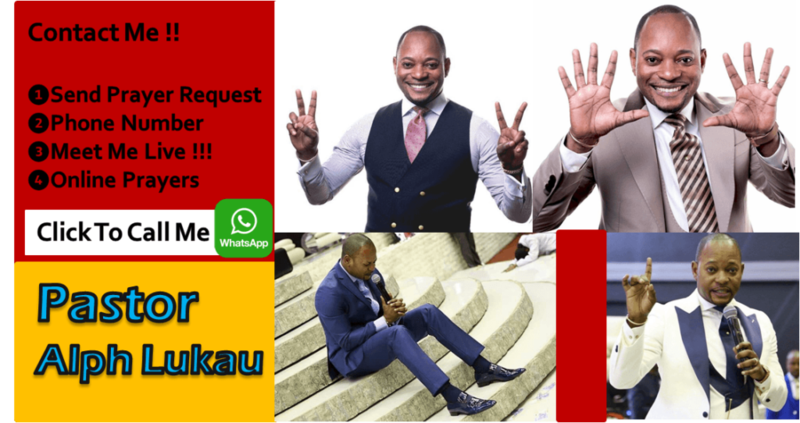 Pastor Alph Lukau release the word of God over your life you are a wise man of God, you are right we are to Pray for each other, my prayers are with you, Glory to The Most High God.